A new report authored by a longtime N.C. General Assembly attorney points to multiple financial and legal complications associated with a controversial proposal to clear a town-run charter school in the Charlotte suburb of Matthews. Among those complications, the report—written by Gerry Cohen, a former General Assembly lawyer and chief of bill drafting—notes state law bars towns like Matthews from taking on debt to build a municipal charter. Nor would the town be cleared to use state funds in order to buy land or build a school, meaning the Charlotte suburb would likely have to cough up millions for the school upfront, possibly by raising taxes. The report claimed significant implications for local teachers’ retirement benefits too. 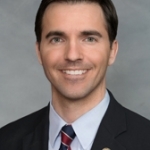 Sen. Jeff Jackson, a Charlotte Democrat who opposes the Matthews charter, questioned Monday how a town with a budget of about $23 million would pay for a $30 million school. “I don’t think proponents of this bill have leveled with the people of Matthews about the fiscal realities,” Jackson said. Last year’s House Bill 514 applies to the Charlotte suburbs of Matthews and Mint Hill, although it has the potential to set the table for similar suburban clashes in large school systems such as Wake County. And, as Policy Watch has reported, it comes laden with concerns about the creation of a predominantly white town splitting off from a decidedly more diverse school system like Charlotte-Mecklenburg Schools (CMS). 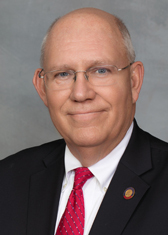 Jackson said last year’s bill, co-sponsored by Matthews Republican Bill Brawley, would be a “precedent-setting piece of legislation” if approved by state lawmakers this year. Cohen’s report was touted Monday in a press conference by critics of the so-called “secession” proposal, chief among them school district leaders in CMS. The former legislative attorney said he was asked to draft the report by CMS lawyer George Battle, although he said he was not directed what to write. CMS officials have been engaged in a war of words with Matthews town leaders in recent months. Matthews leaders say they want more say in their local schools, as well as a long-term guarantee that the district won’t force student reassignments in order to diversify racially-isolated schools like those found in the city’s predominantly white suburbs. The progressive N.C. Justice Center issued a report this year that found CMS to be, by far, the most racially segregated district in North Carolina (Disclosure: The Justice Center is Policy Watch’s parent nonprofit). School district leaders counter that splitting the district would be costly and inefficient, unpopular with Matthews residents, and may only exacerbate segregation worries. It’s unclear whether Brawley’s draft bill will be a priority for the Republican-led legislature as members ramp up their short session in the coming weeks. The bill swept through the state House last year. But after a study committee led by Brawley this year punted on any specific school system splits, the proposal seemed to lose momentum. School board Vice Chair Rhonda Cheek said Cohen’s analysis “could and should cause pause” with lawmakers. “This bill is a nightmare for taxpayers,” said McCray, arguing that residents of Matthews would be “double-taxed” to support the charter school by both the county district and the town. 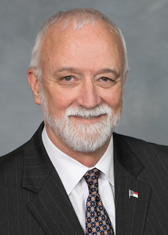 Rep. John Autry, a Charlotte Democrat, also slammed the proposal and Republican leadership in the General Assembly. Finding #1: A town CANNOT incur debt for capital construction or land purchase for a municipal charter school. If implemented, Matthews and Mint Hill (and other towns) would be required to pay upfront for any land purchase or building purchase. Finding #2: A town CANNOT use any state funds to purchase land or construct a building. The only way a municipal charter school could pay to build a school, buy land, and/or buy mobile classrooms would be through any county pass through funds (reducing the operational funds of the municipal charter school) or through donations, grants, or town property taxes. Finding #3: Teachers in a municipal charter school CANNOT be members of TSERS and any school employee who transfers their service credit from TSERS to LGERS would no longer be eligible for eligible for TSERS retiree health benefits, nor the TSERS Disability Income Plan. Additionally, the Local Government Commission staff is aware of significant accounting issues arising out of a town operating a charter school. Finding #4: HB 514 DOES give the towns of Matthews and Mint Hill a new ability to use property taxes for these municipal charter schools. Finding #5: All employees of a municipal charter school WILL be employees of the town. Finding #6: Charlotte-Mecklenburg Schools CANNOT manage the charter schools on the town’s behalf. Finding #7: A municipal charter school IS a part of the town and is NOT a separate entity.